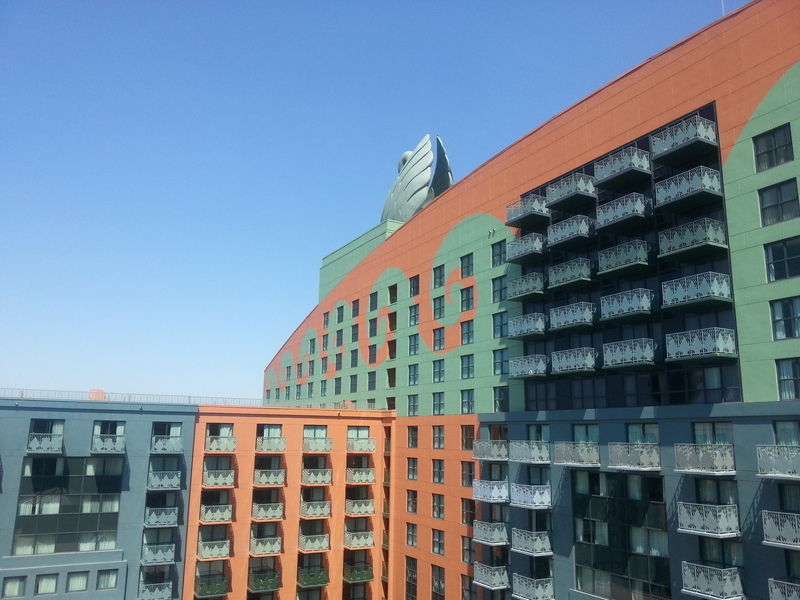 If in my previous post i’ve told you about the resorts where I’ve stayed it’s the time to talk about the Disney’s Park! Yeay! 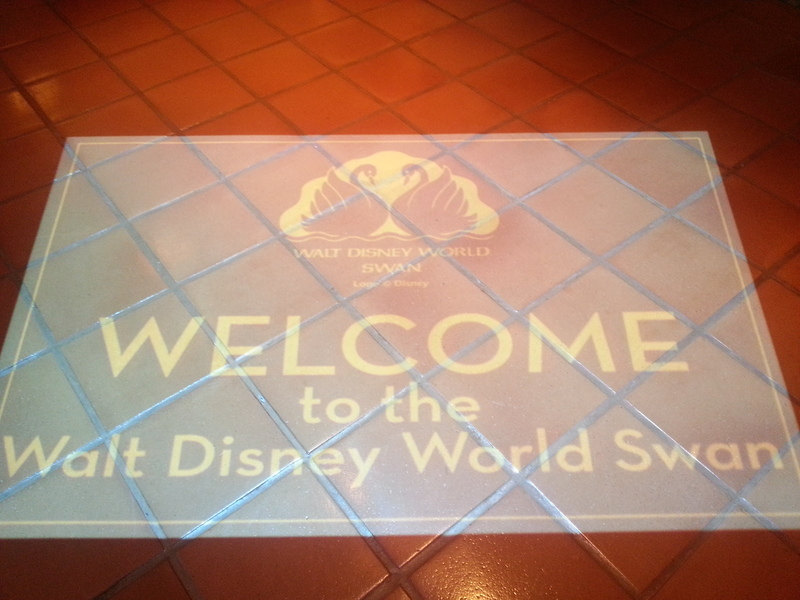 the image of 4 Walt Disney World Park! Walt Disney World has 4 theme parks; Magic Kingdom, Epcot, Disney’s Hollywood Studio, and Disney’s and Disney’s Animal Kingdom. 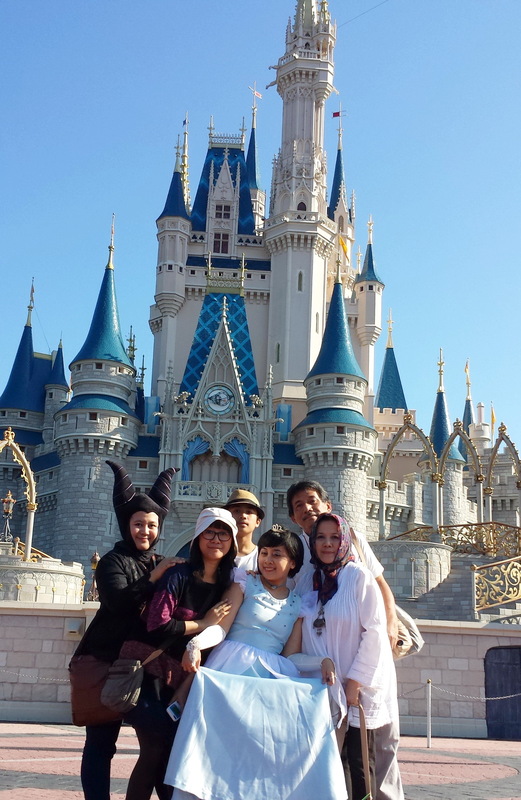 We only had 3 days in Walt Disney World so we only visited 2 from its 4 park, Magic Kingdom and Disney’s Hollywood Studio. I went to Epcot 20 years ago (so I really could not recall anything) but basically it was like Taman Mini Indonesia Indah (but the scope was international, so the displays are from various countries, not only America). 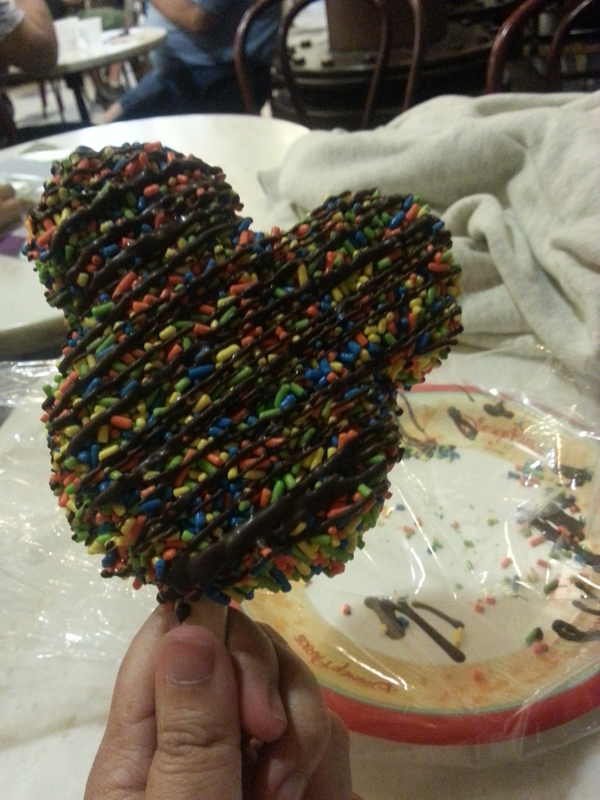 For Disney’s Animal Kingdom? 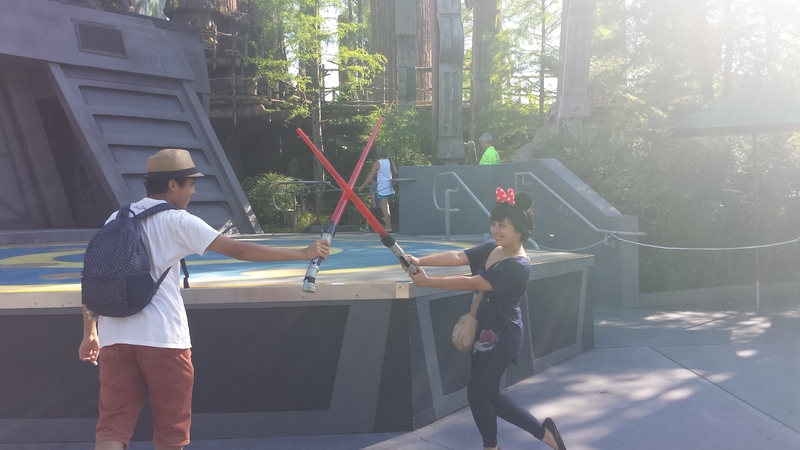 We were not too fond of outdoor and animal-related activity, at least we can do it outside Disney World. 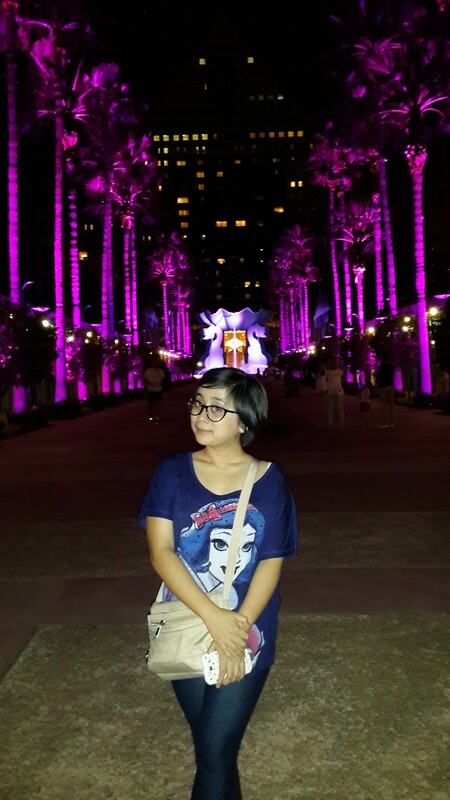 This is my dream park! Everything related to fairy tale and classic Disney tale is here! And I made use of this precious opportunity to blend with this park, trying to be a part of this park. A part of this park? Yes, I dressed up as a Cinderella! I know I’m already 22 years old and a (supposed to be) serious and dedicated Bioengineering master student candidate. 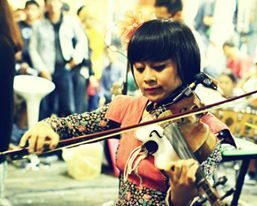 But, hello, I’ve travelled for thousand miles to get here, from east to west and through a bloody long and exhausting flight. So why waste this opportunity? 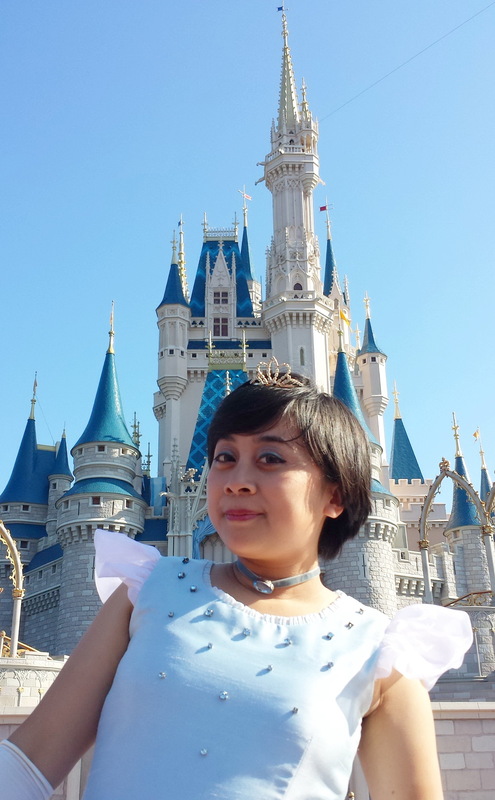 So I managed my ultimate dream, posing as a Cinderella in front of a real Cinderella castle! I was also quite proud with my make-up, I think it was better than the Bibbidi Bobbidi’s Boutique makeup. 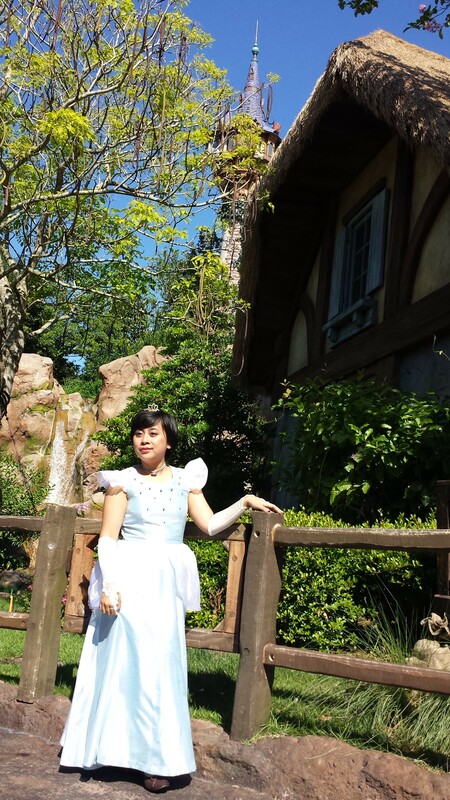 I was overjoyed, and everytime I entered shop or attraction the shopkeeper said ‘Hello Princess’ to me. Even little girl stared jealously because of my perfect costume, LOL. Too bad I could not make an exceptional salon-standard hairdo to finish my princess look. 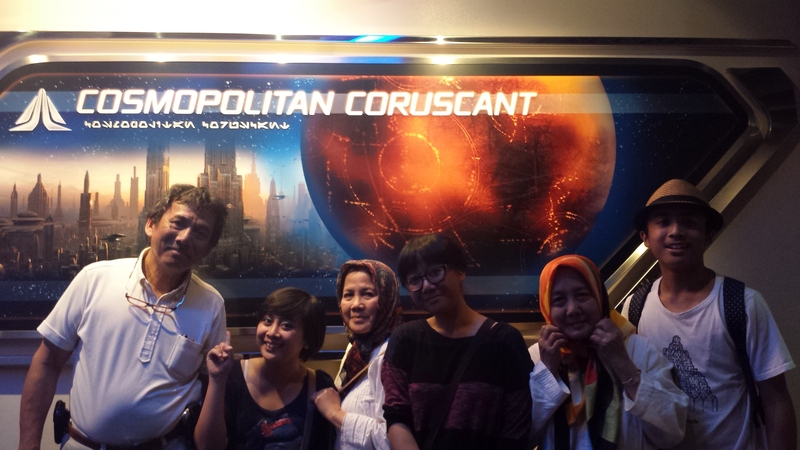 And I think my family was also happy because they did not have to queue if they want to take a picture with Disney’s character, they can just take a picture with me, LOL. So, talking about the park, this park is divided into 5 main areas. 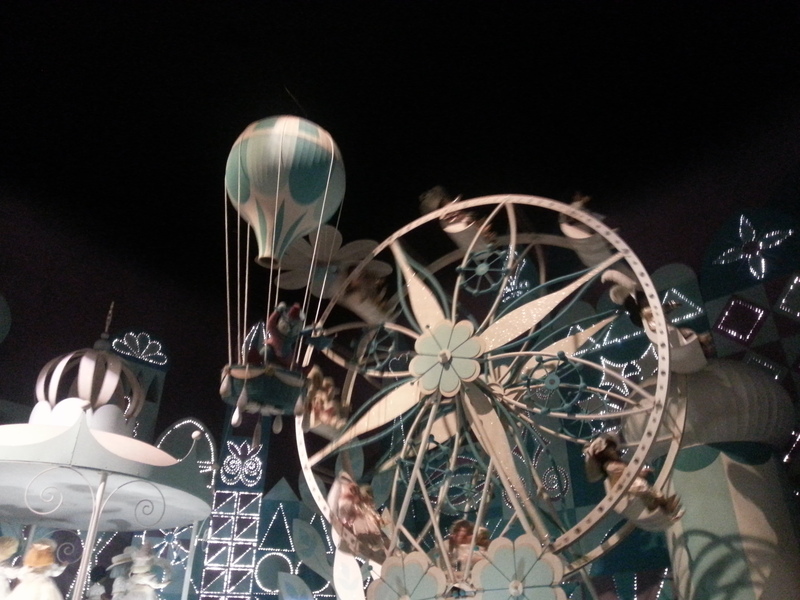 Main Street USA, Adventure Land, Frontier Land, Liberty Square, Fantasy Land, and Tomorrow Land. 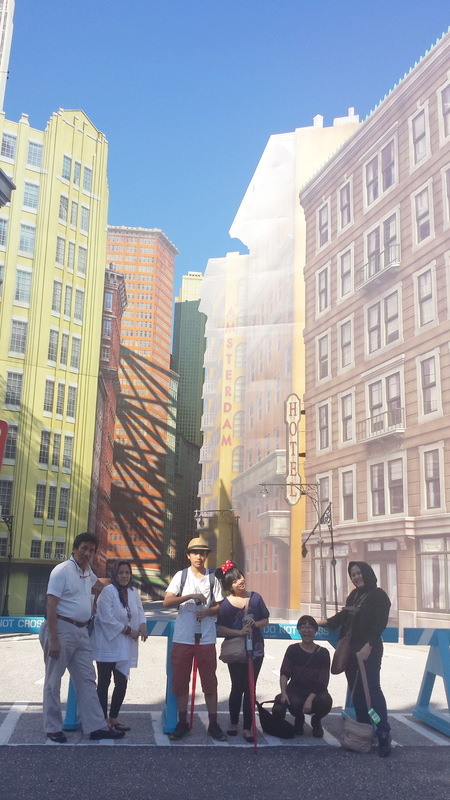 Since we only spent half days in this park, we emphasized on attraction originated specifically from this park. 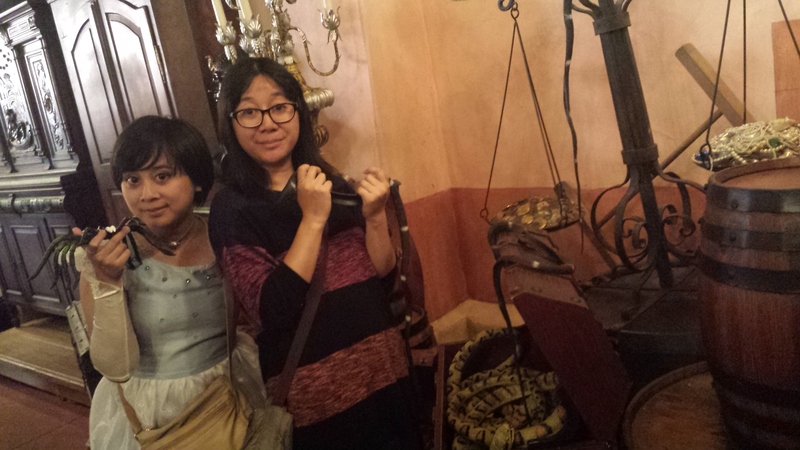 We skipped some attractions that we had experienced in Paris, Hongkong, and Tokyo. 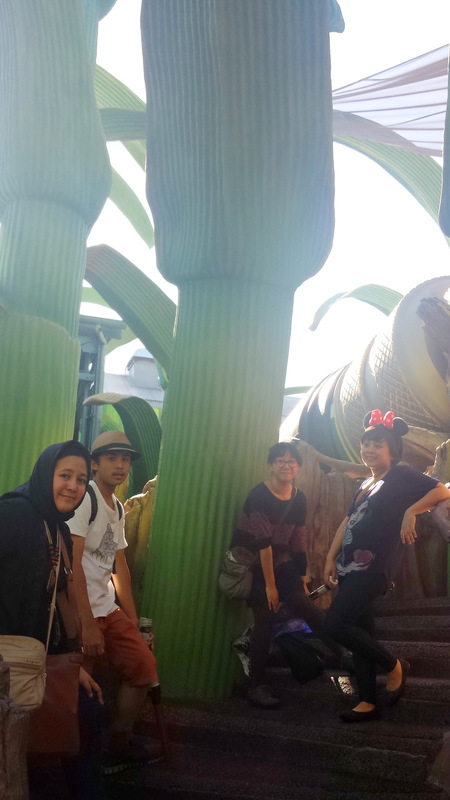 We did a little shopping at Main Street USA, and went directly to Fantasy Land for photo session (LOL). 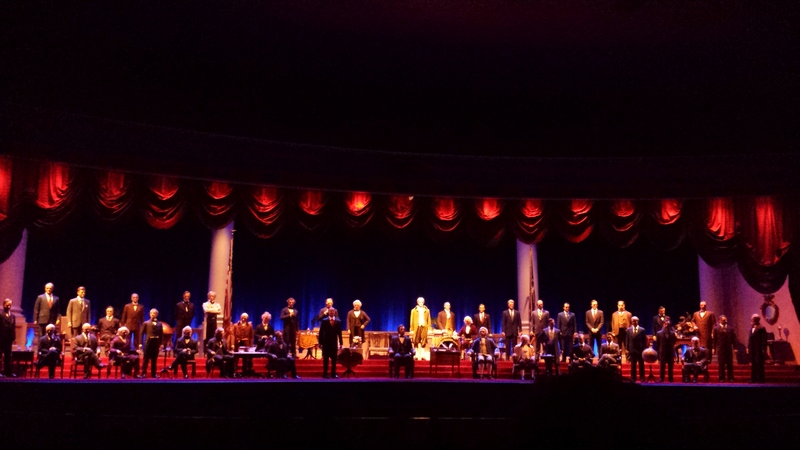 In Liberty Square we rode the Haunted Mansion (believe me it was not scary, at all, even for me) and we did study a little bit of American Presidency History in The Hall of Presidents. 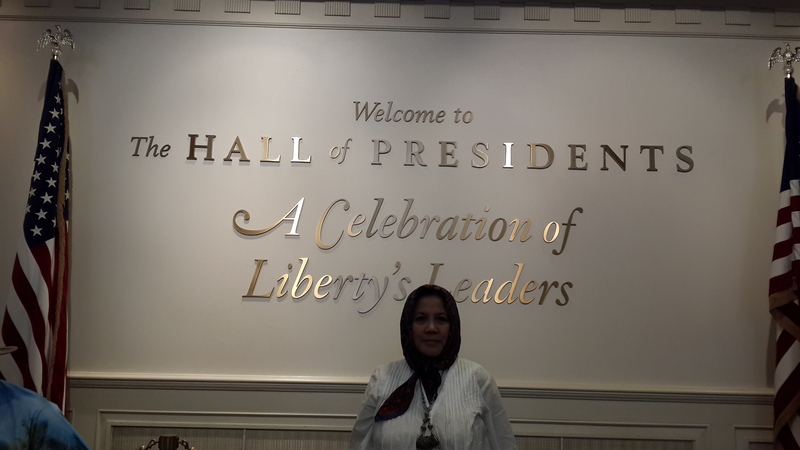 Of course my Dad was truly happy, he’s so into American Presidency. 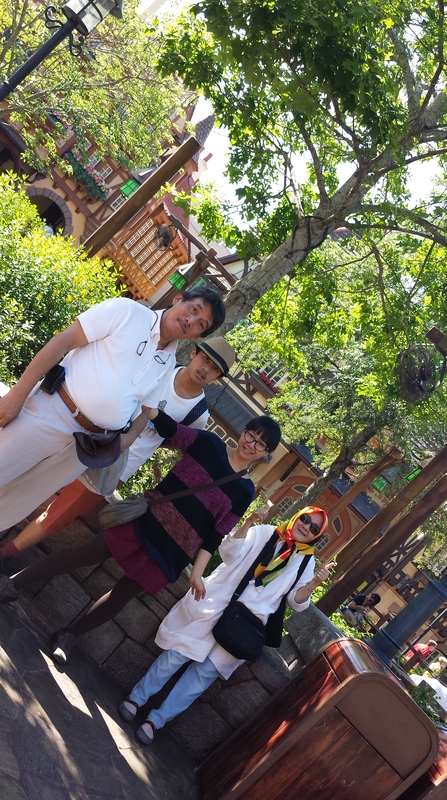 In Adventure Land we rode Pirates of the Carribean and The jungle Cruise. This section of the park is designed to resembles jungle and island condition in Africa and Southern America. 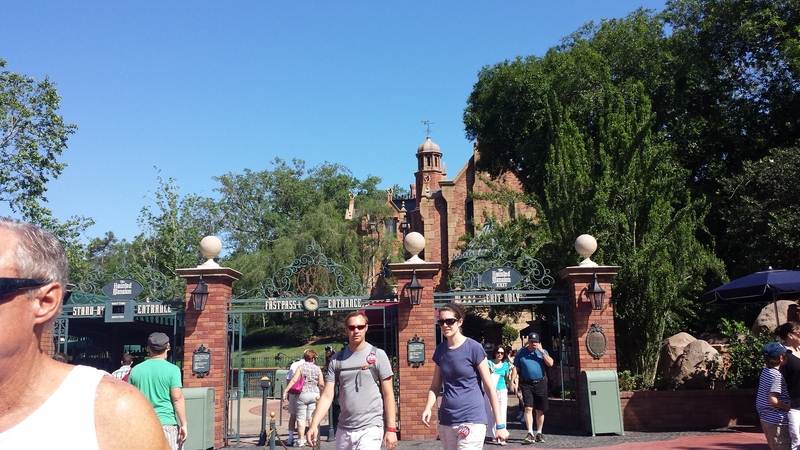 We managed to get so many attractions in only half a day, thanks to our resort-complimentary fastpass. The fastpass allows us to book 3 pass for 3 ride at once and set the entrance time respectively. Once our fastpass has ran out we can book another 3 pass for another 3 ride online with Disney World mobile application or in a counter. We planned to have our lunch at Be My Guest Restaurant (the newest restaurant with Beast’s Castle setting) but it was too crowded. 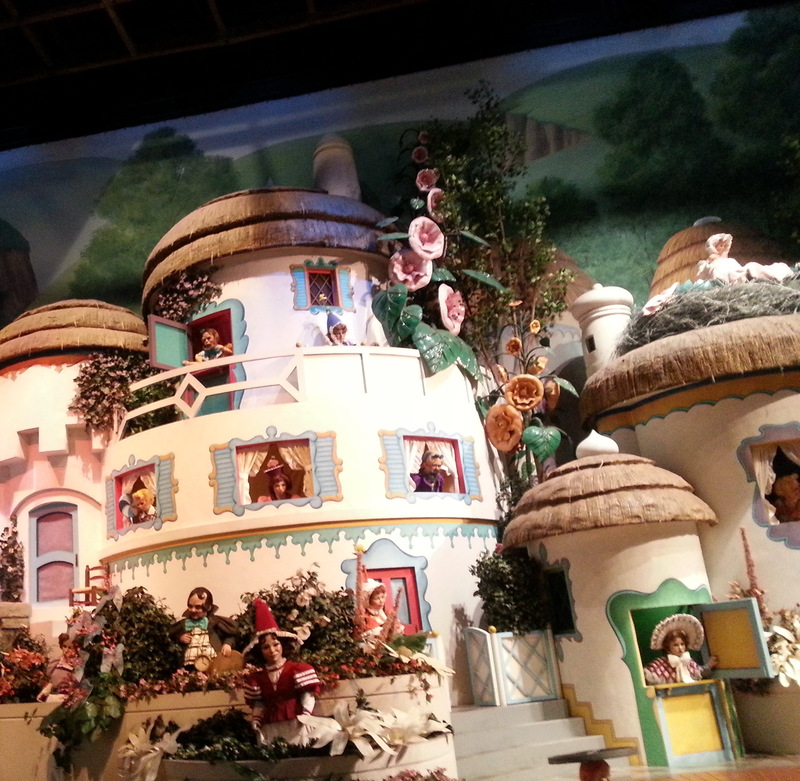 We also planned to ride the The Seven Dwarves roller coaster, unfortunately it was still under trial period. 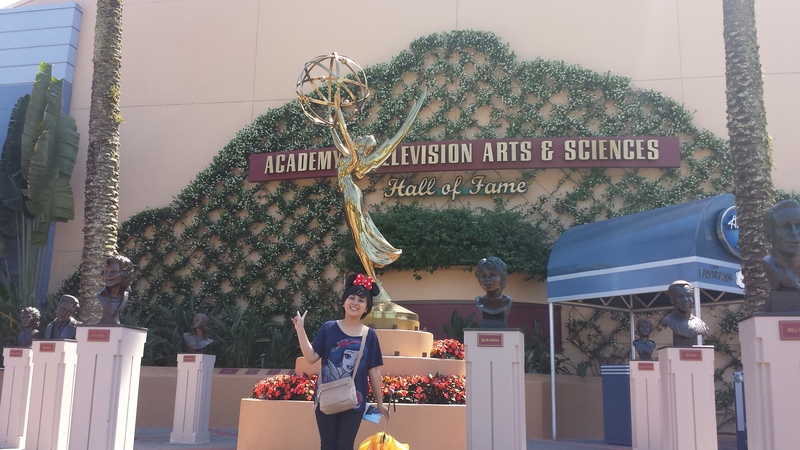 The second park that we visited was Disney’s Hollywood Studio, this park was built more to commemorate Hollywood work heyday of 1930s. 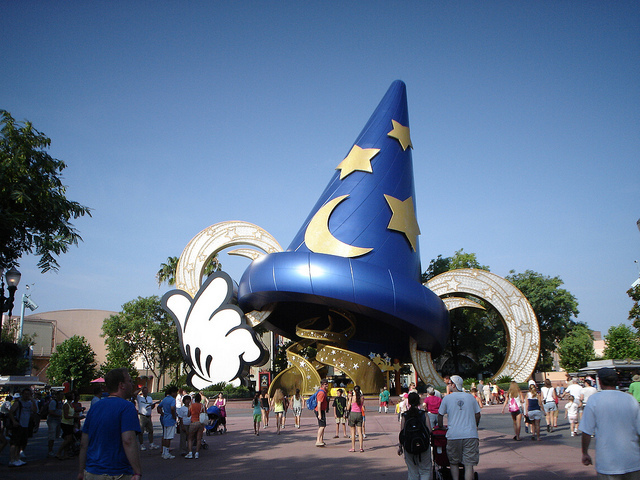 This park was known all over the world for its signature giant mickey’s sorcerer hat. In this park we did not visit much but we had a lot of fun. 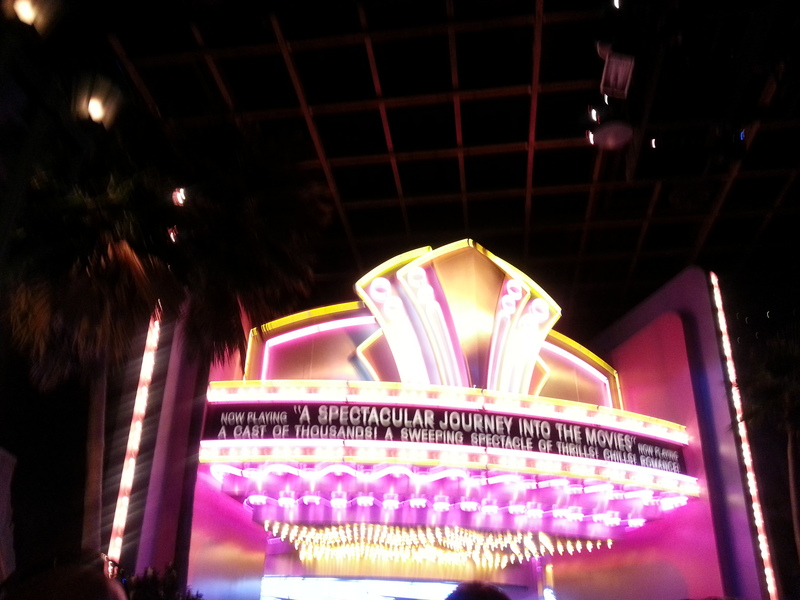 First we visited The Great Movie Ride in Hollywood Boulevard, a journey about Hollywood movie development. 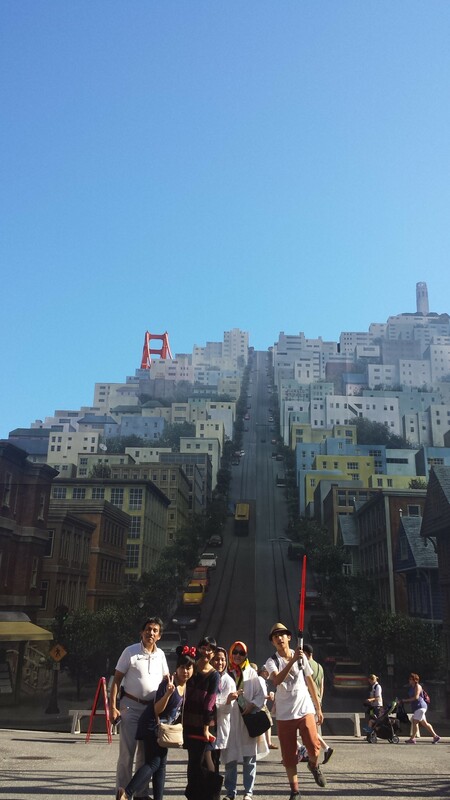 We were also having fun at The Streets of America, recreating photograph that we took 20 years ago and had a peek also at Honey I Shrunk the Kids : Movie Set Adventure. 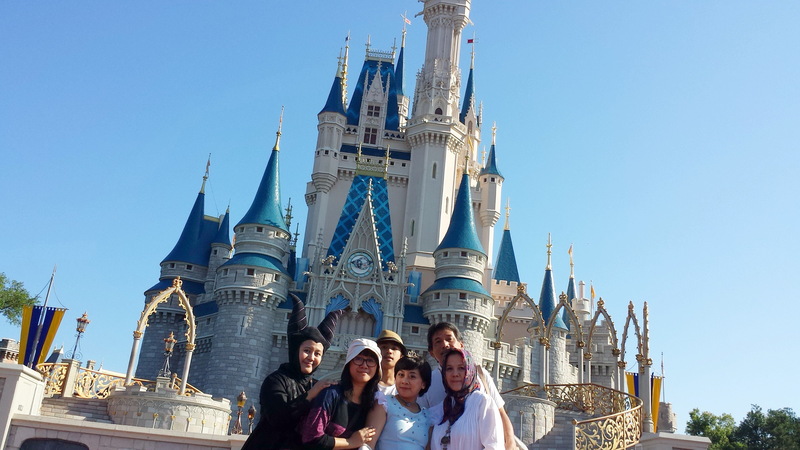 So, Walt Disney World is not only a ‘Disneyland Park’, it’s much more than that. Despite of having only one disney-themed park like Disneyland, Disney World is like an integrated site of theme parks, resort and other entertainment scheme owned by Disney Production. They have numerous hotels and resorts, 4 theme parks, waterparks, shopping center, golf course, and almost every recreation facilities. You name it, they have it. 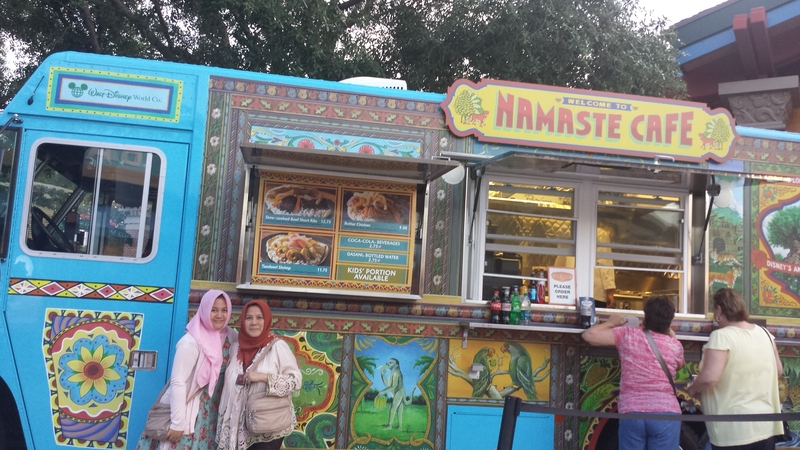 It is located at Orlando, Florida (if you want to get there, just book a flight to Orlando International Airport). During my stay there, I stayed at Walt Disney World Swan Resort and we visited Magic Kingdom, Disney’s Hollywood Studio, Downtown Disney, and Disney Boardwalk. So i will tell you about some of the sites that i have visited! The hotel is co-owned with Sheraton Hotels and Resort so Starwood Preferred Guest (SPG) member you are welcomed to redeem your point for your stay! The hotel itself was a bit old (especially the lift and room doors that were wearing off) but still well-maintained. What’s the benefit of staying in this hotel? First, it made you eligible for Park ticket purchase in the hotel with fast-pass service (a part of Walt Disney World privileges). 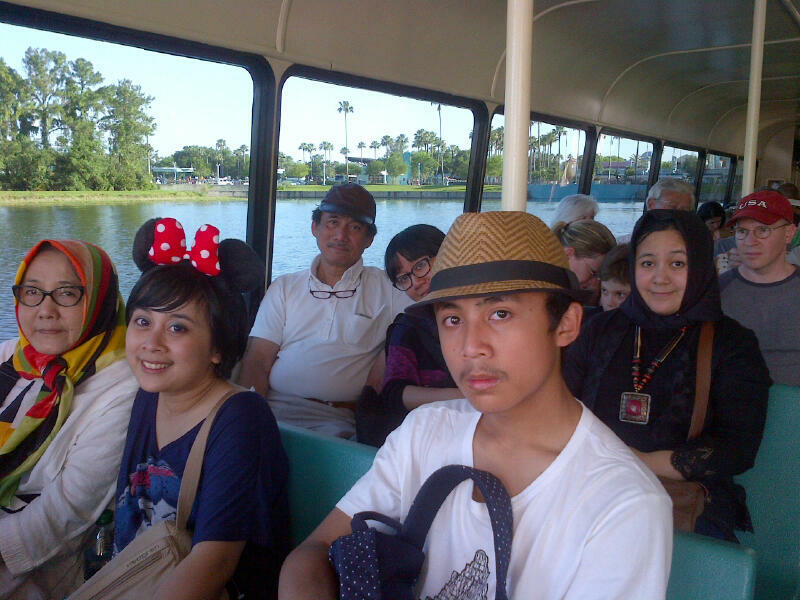 Second you got free access to every parks by bus and ferries (from and to Disney Hollywood Studio and Epcot Park). 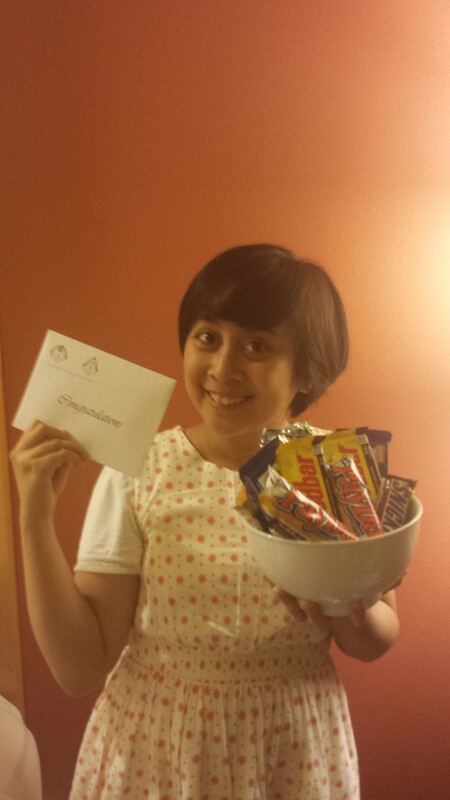 Third, because my dad was a Platinum-life member of SPG they put a special surprise in our room. 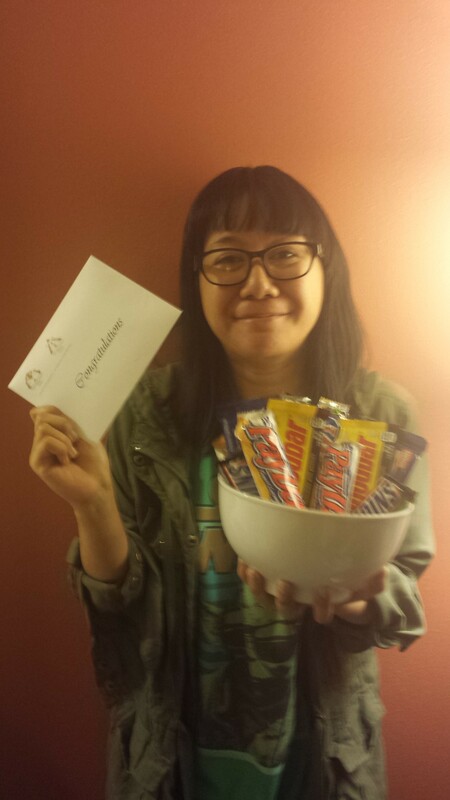 A bowl full of snickers, mars, time-out and every other American chocolate for me and my sister’s graduation! Fun! The dining was quite good, for breakfast we could go for a buffet in . 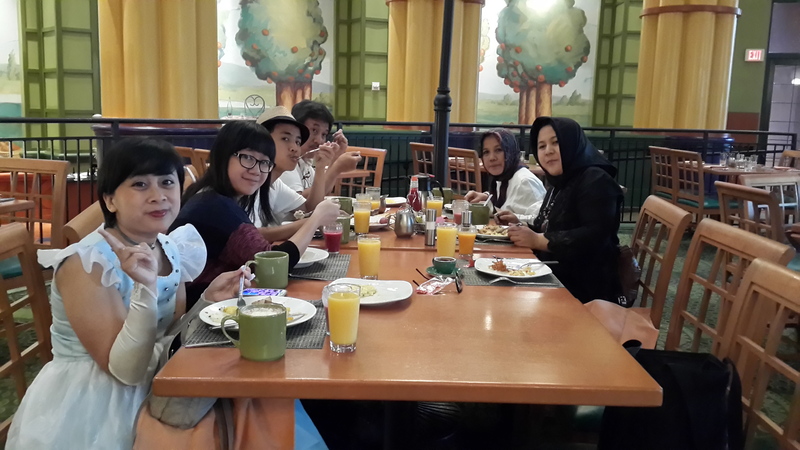 Where they claimed guest can have breakfast with Disney character if booked, my family had one, though, although we did not book it, LOL. Breakfast with a Disney Character! However, I specially recommend the Japanese restaurant and also the room service, it was really good! The view from the hotel at night was also incredible, you could see the fireworks from Magic Kingdom’s parade and you also had an astonishing view of the bridge connecting this hotel to its sister’s hotel, Walt Disney World Dolphin. 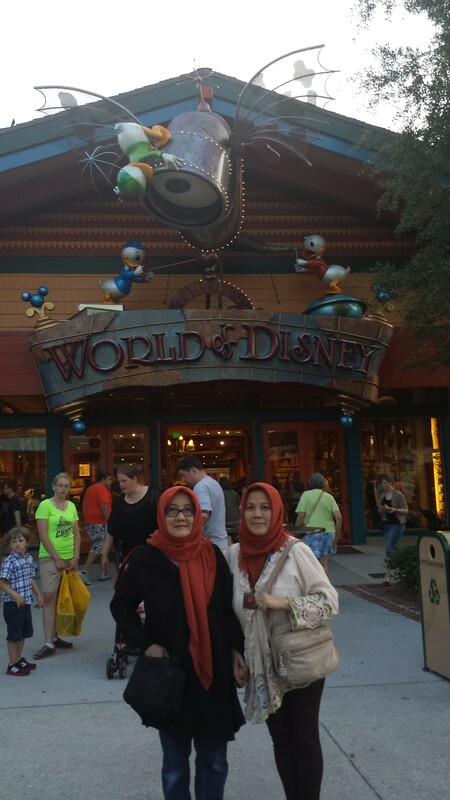 Downtown Disney is a small downtown for the whole resort where they have shops, restaurants, cafes, and even cinema. 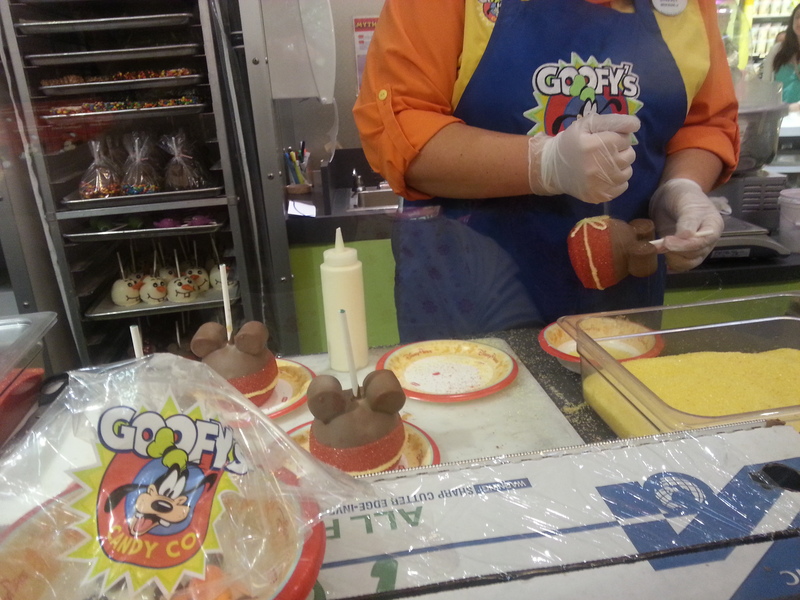 For sweet lovers, i recommended you to go to Goofy’s Candy Co, you can have every disney-themed treats here. 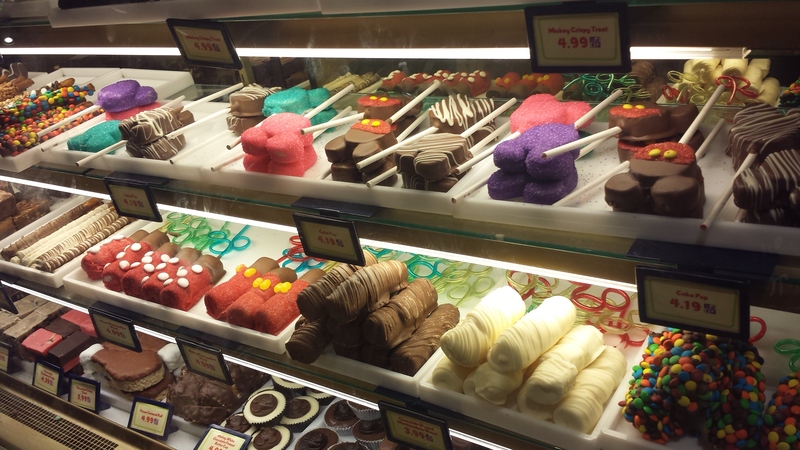 From cupcake, cookies, candies, chocolate, and everything sugary! 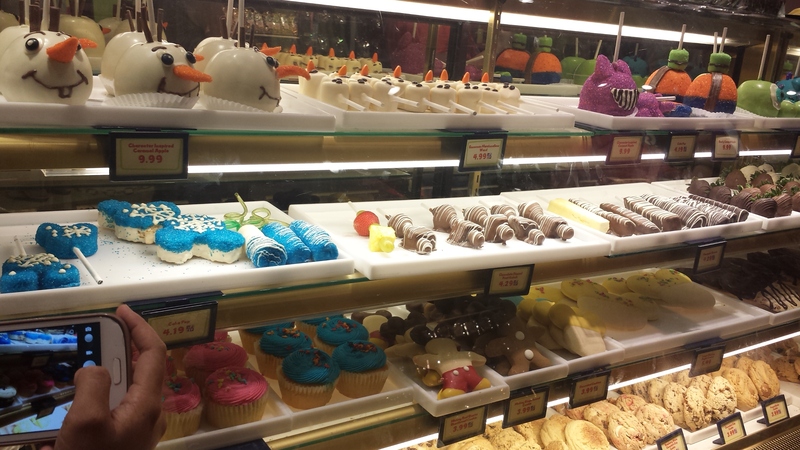 The special treats from this shop, however are the specialty apples (coated with chocolate), 5-topped pretzel rods, topped crisped rice treat, topped marshmallow, and top gingerbread cookie. 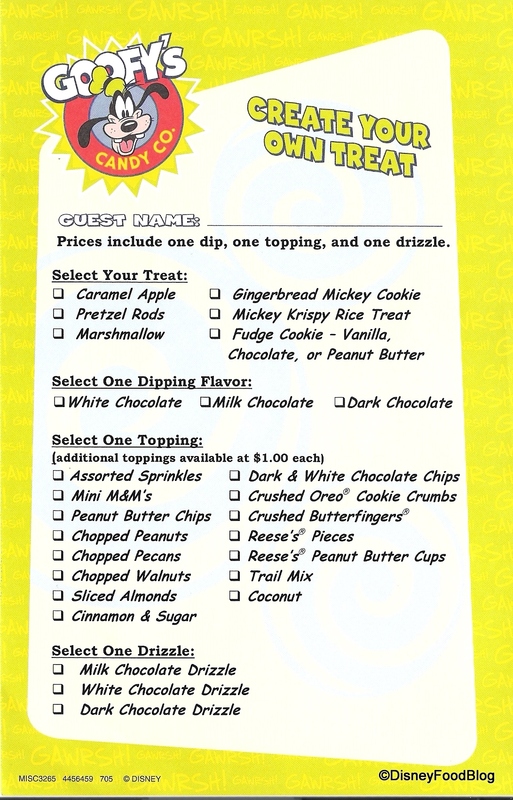 You can choose the kind of chocolate and topping that you want! Form to make your order! Caramel Apple in the making! 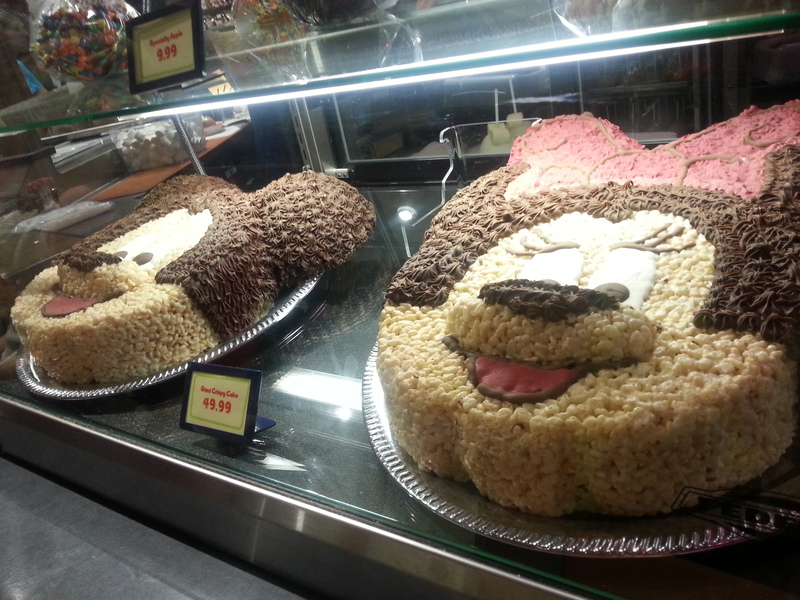 extra large Mickey Krispy Rice Treat! 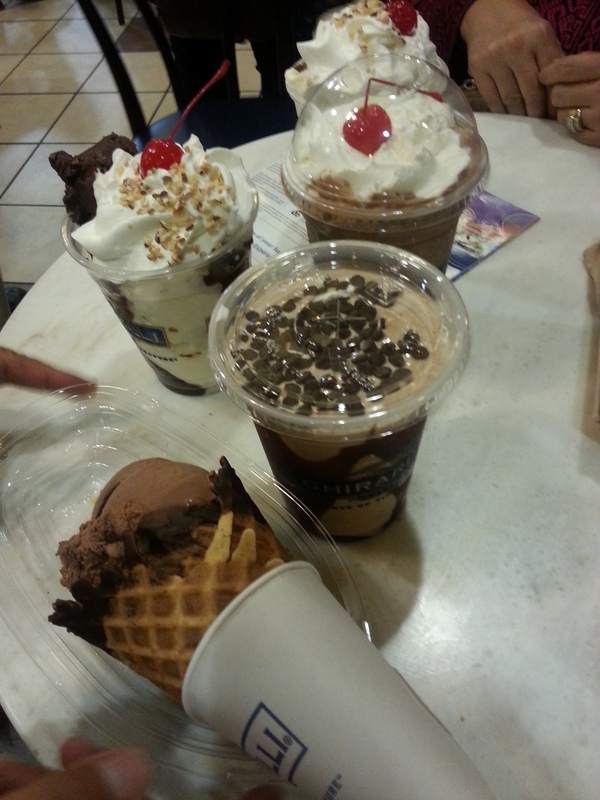 my own treat, sugar high! 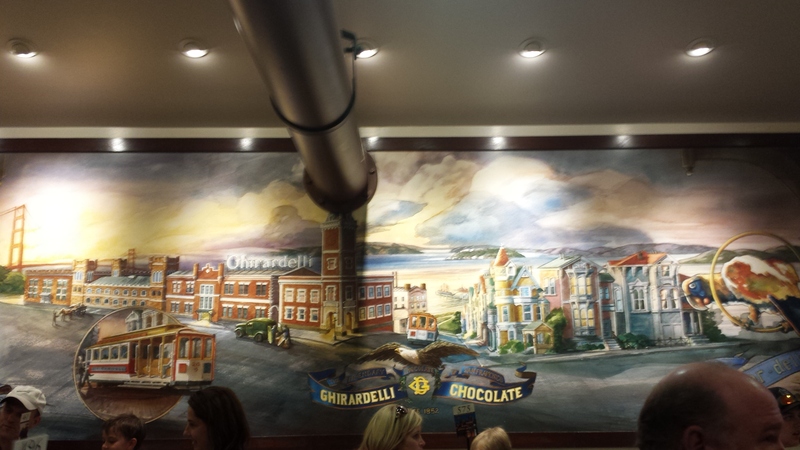 If you want to taste America’s most famous chocolate you can also go to Ghirardelli Chocolate shop, which was truly delicious. 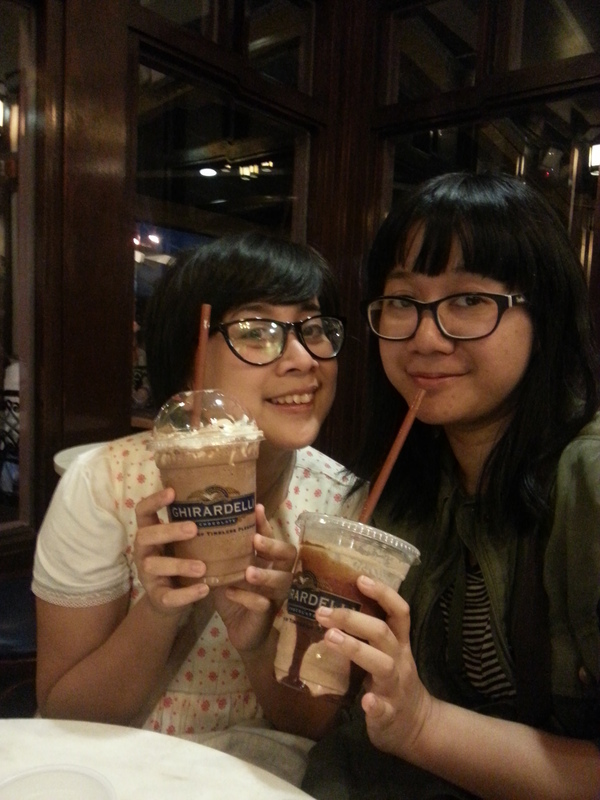 You could have shakes, ice cream or just a simple signature ice-chocolate. 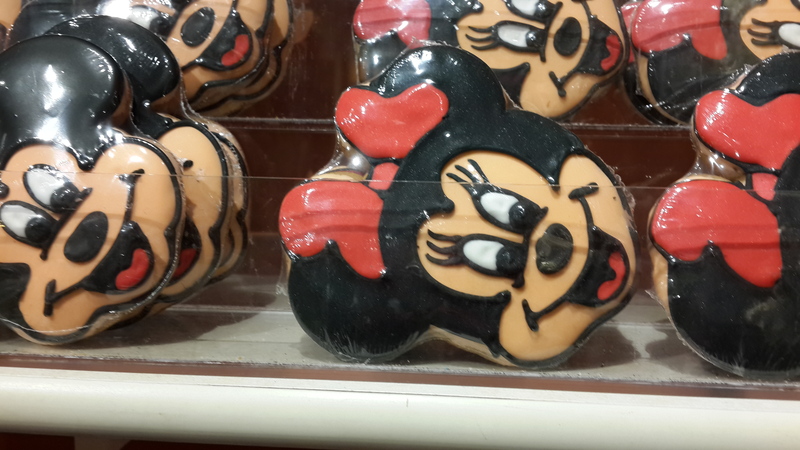 If you’re fond of shopping especially for Disney’s goods, going to World of Disney is really recommended. 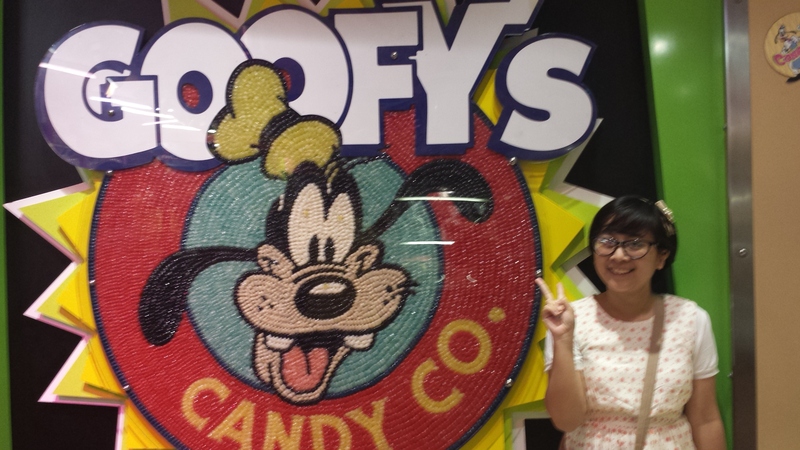 It is such a huge disney-themed shop where you can get everything. From usual souvenirs like t-shirt, pen, magnets,mugs, and key chain until suitcases, jewelry, make-ups cooking utensils and everything! You will definitely love it here! 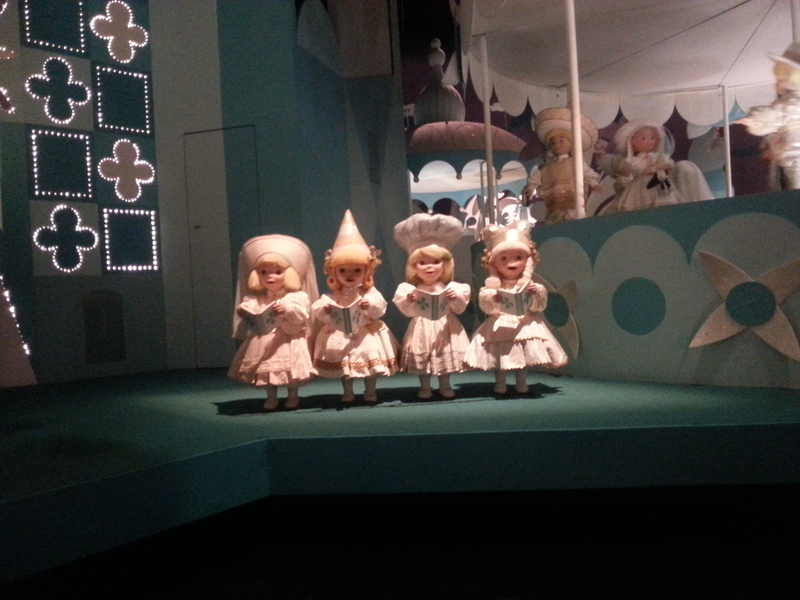 And if you have little children, they also sell princess costume and makeover here, at Bibbidi Bobbidi’s Boutiques. 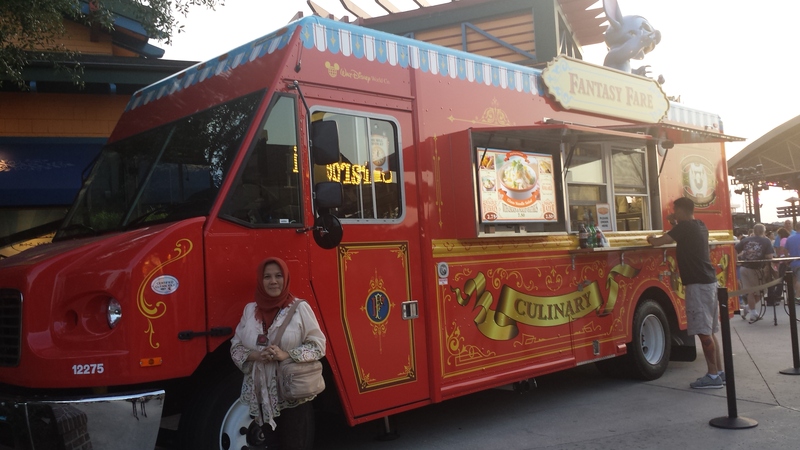 In some day, they also have food trucks parked outside the Disney Downtown, so American, isn’t it? This boardwalk is close from my hotel, it only took 5 minutes walking from my hotel, located near the ‘sea’ it imitates the real American boardwalk. Unfortunately I did not have any picture describing about this site. 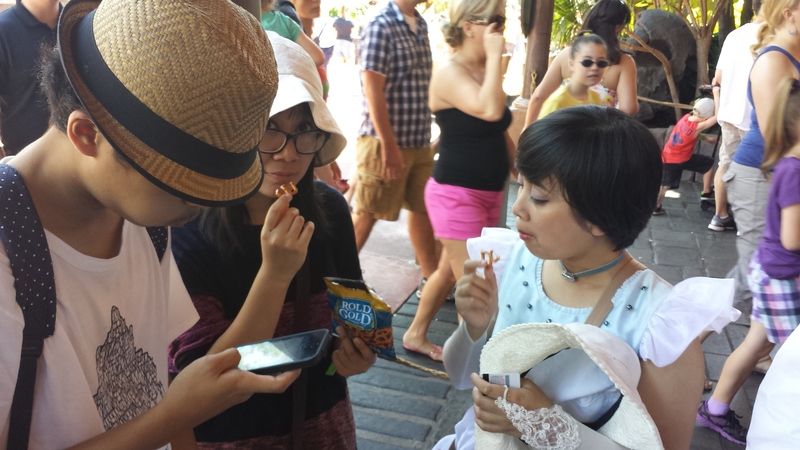 However this boardwalk consists of cafe, restaurant, food stalls, and game center, just like common American boardwalk. 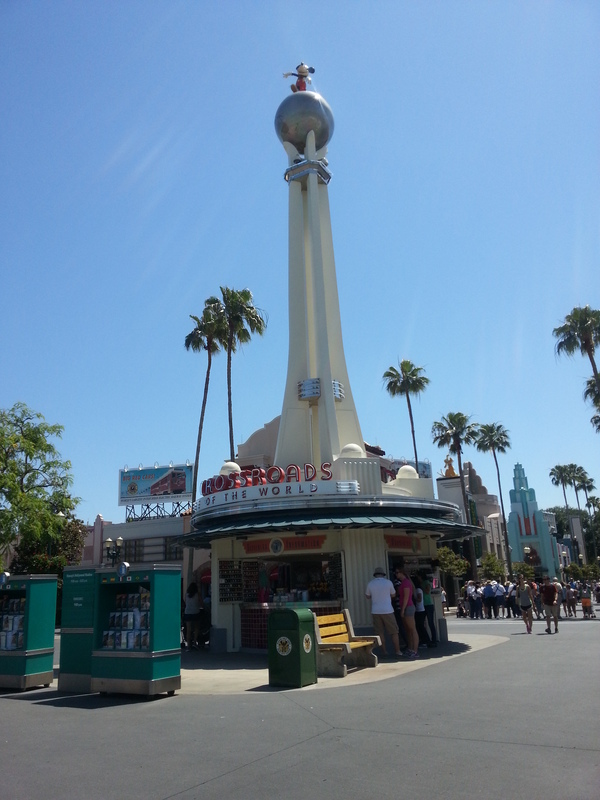 We can also see some street performances along the boardwalk from magic performance until music performance. I think this boardwalk is especially recommended for a night dating with your boyfriend/husband 😀 You can have a nice dinner in one of the restaurant, your boy can win a doll for you in the game center, and you could also see the spectacular fireworks from the parade! 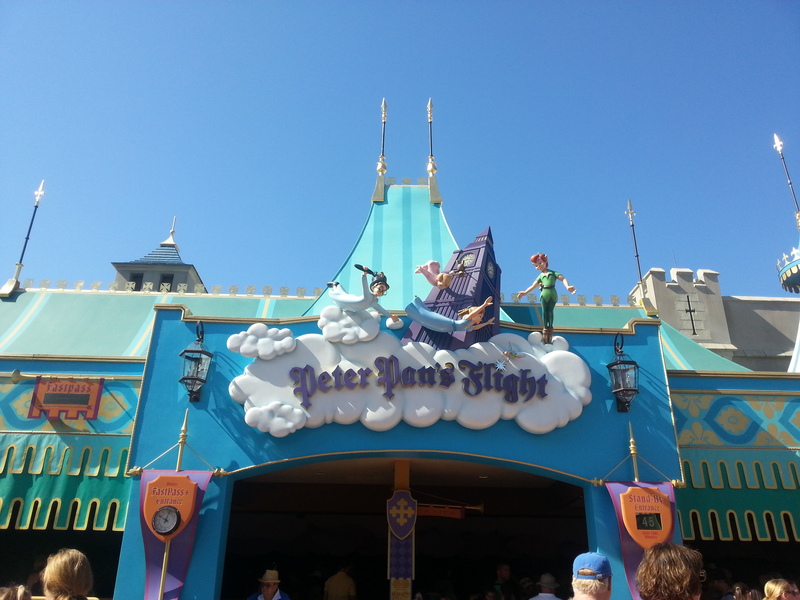 So this is my first review about The Magical Walt Disney World, i will write about the park in the following post!